Move over leopard, there’s a new animal in town! And sssshe’s all about sophistication and versatility. As in day into night, winter into spring. 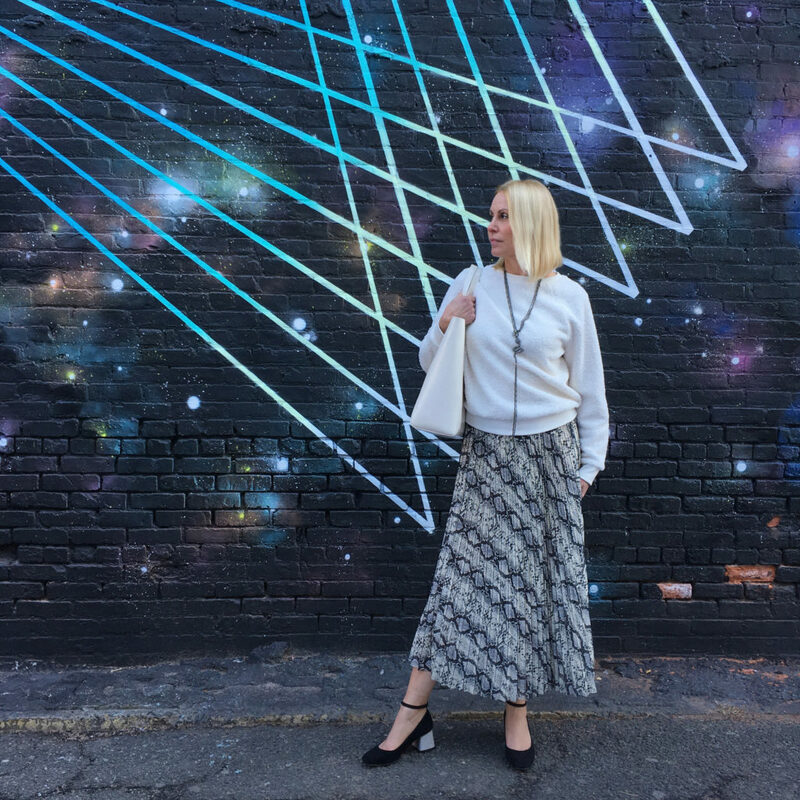 I tried out quite a few pieces that capture this trend, but this snakeskin print pleated skirt won my heart. And a place in my wardrobe. Temps have finally hit the 50s here! Yay!! 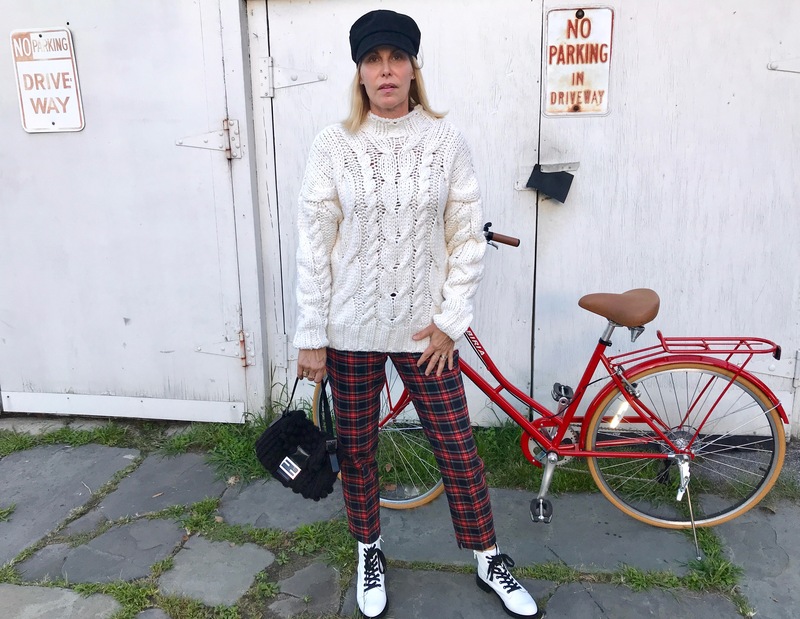 All the more reason to cozy up to a chunky sweater and my new favorite plaid pants. I’m usually a neutral palette girl, but these red plaid pants just made me smile. Spoiler alert: I have already worn them paired with a black turtleneck and black booties, and gotten some pretty sweet compliments as well. Not to date myself, but these slightly cropped pants reminded me of the “pedal pushers” I wore as a kid in the 60s. Pedal pushers were designed because long pants could get caught in bicycle chains. Today, that was enough for me to pump up the tires on my own bicycle…and get riding.